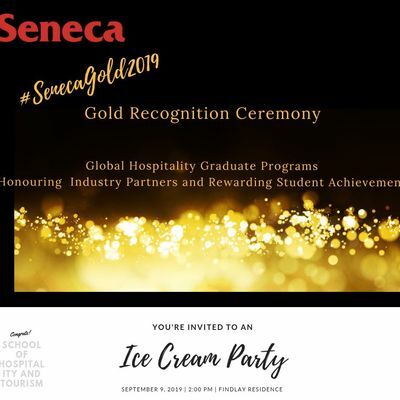 You and a guest are cordially invited to attend the 2019 Seneca Global Hospitality "Gold Recognition Ceremony"
This celebration is being held to honour our Hospitality Partners and recognize Students for their achievements. Parking is available on site. 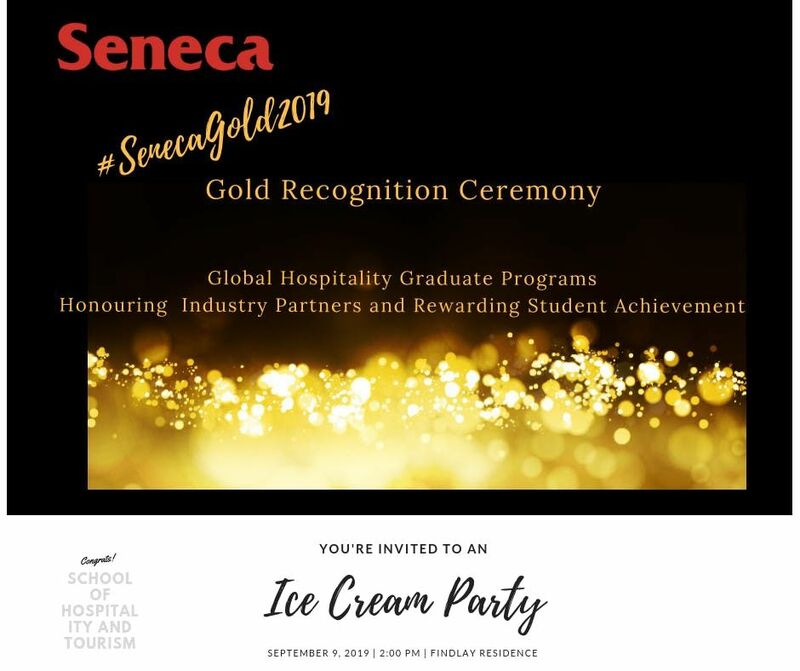 We will provide a complimentary pass to our Hospitality Partners at the Event upon Registration.